UPDATED: Sun., Feb. 3, 2019, 9:13 p.m. Wondering how cold it’s going to get this winter? This week might reveal the answer. The National Weather Service is warning of ice and freezing temperatures in the Spokane area, beginning with rain, then snow flurries and icy conditions. Use extra caution during your Monday morning commute: The incoming chill will lead to flash freezing on wet roads in some places. 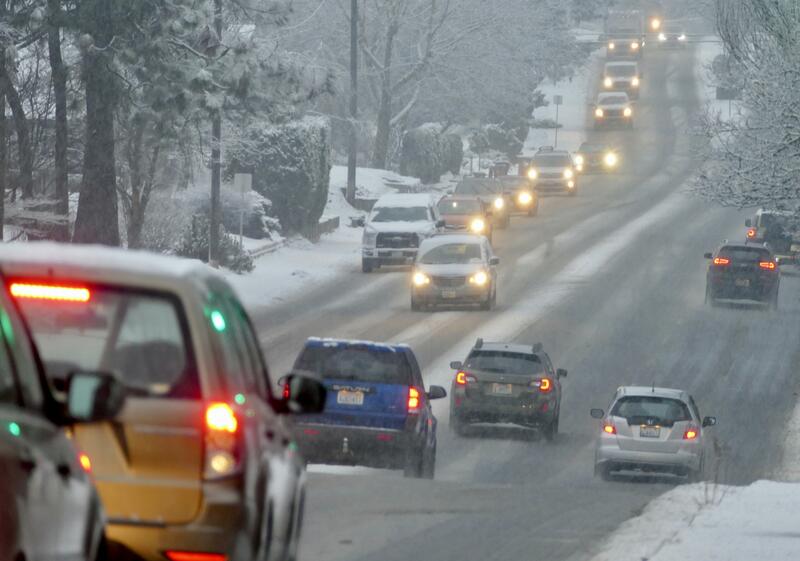 A winter weather advisory in effect for Spokane and surrounding counties is expected to end Monday morning at 7. A more serious winter weather warning was reserved for the Central Panhandle mountains through Monday morning. Watch out particularly for ice on neighborhood streets: The worst driving conditions will be on the secondary roads that haven’t been deiced. “When there’s ice and snow, take it slow. That’s what we try to say,” said Mark Turner, observing program leader for the National Weather Service in Spokane. The season will be one of contrasts. If the cold reaches the lowest point it will get this winter over the next few weeks, the plunge in temperatures will be in stark contrast with the season so far. This winter has been unseasonably warm, and predictions are that the next few weeks will be unseasonably cold, Turner said. “We expect cool temperatures that are below normal to persist through the middle of the month before we get a reprieve,” he said. Highs will likely be in the teens, lows in the single digits. Snow is expected to be light, between 1 and 3 inches in Spokane and Whitman County, and there is an increasing chance of bouts of light snowfall as the week progresses. Other towns should expect snow as well, Turner said. Bonners Ferry and Okanogan were starting to feel the storm’s effects Sunday. A brisk north wind throughout North Idaho and in the Okanogan Valley was expected to subside by midweek and cold weather will follow. Winds across the region were increasing Sunday night and were expected to continue through Tuesday. On Sunday night the winds were predicted to clock in at 6 to 10 mph in the Spokane area, gusting into the mid-20s. Turner said that’s probably not enough to fell trees, though Missoula saw some trees down as the storm descended, and Sandpoint’s winds reached 35 mph, Turner said. Rebecca White contributed to this story. Published: Feb. 3, 2019, 3:03 p.m. Updated: Feb. 3, 2019, 9:13 p.m.